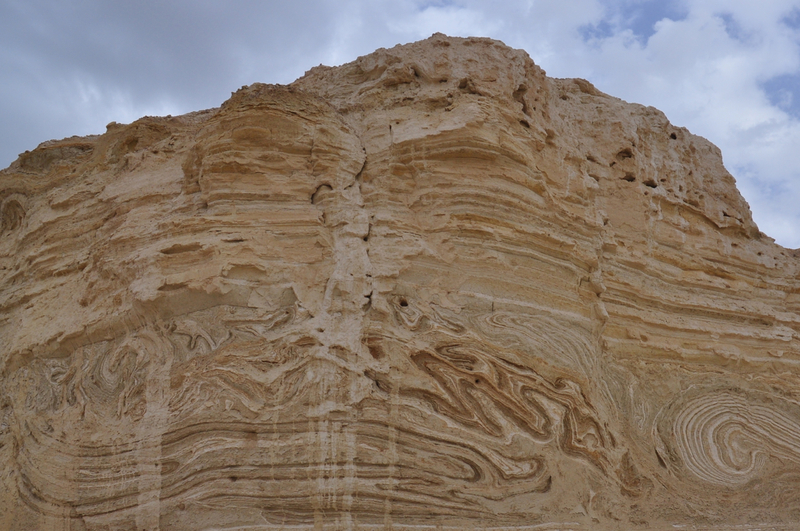 When touring Israel you can’t but be amazed by the diverse geology in such a small country. 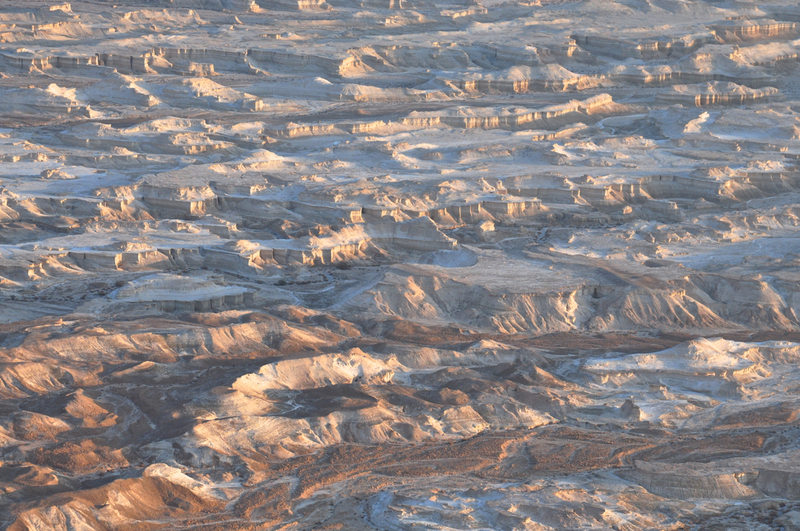 When visiting Masada notice the spectacular canyons that have been gouged in the lissan marl by floodwaters rushing to the Dead Sea. Take some time to explore the area by continuing south on highway <90>. 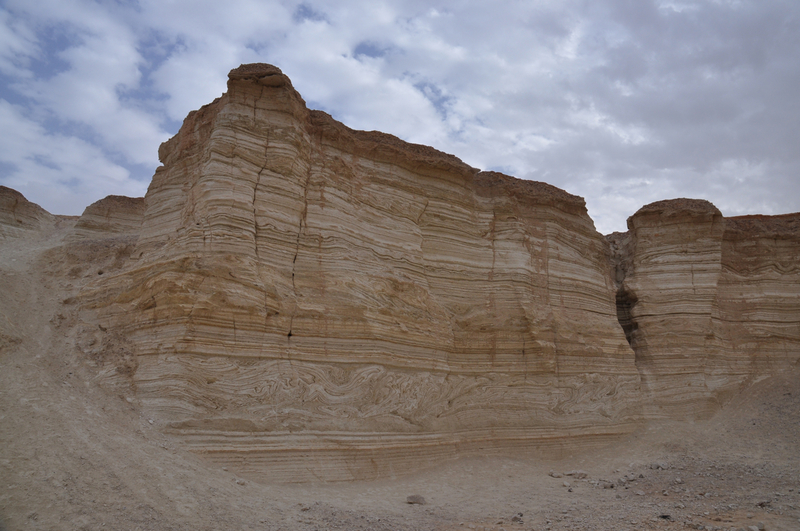 Watch for the cutoff across from the Dead Sea Works and pull off onto a well-packed dirt road that will take you to the canyon at Nahal Peratzim. Continue driving a couple of kilometers across an enormous flatlands, the Amiaz Plain, until you reach a parking lot. Follow the signs to the Flour Cave (though the cave is closed by order of the Parks Authority for fear of collapse). It’s a short walk down into the canyon, a wide, sandy stream bed between high walls of lissan marl. It’s amazing to see the patterns of swirling designs and textures in the walls. 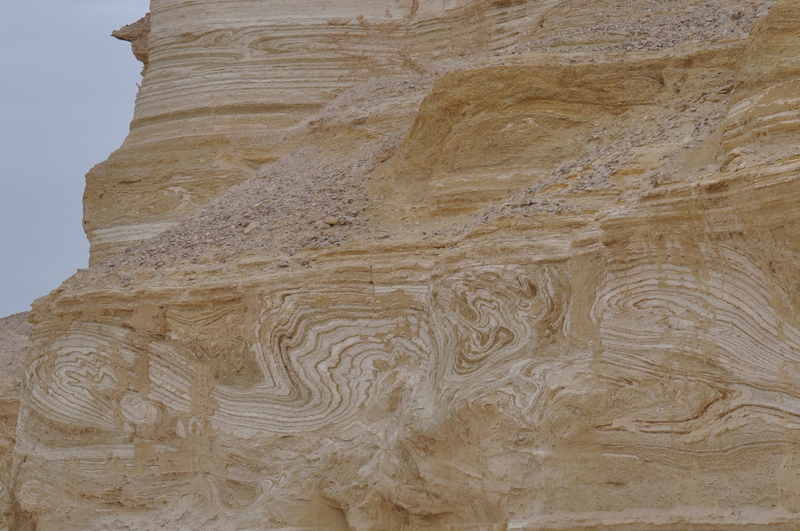 We think the layers came about from sediment carried here by flowing streams, the darker colors in years of stronger rains but geologists haven’t come up with an accepted theory why the layers have twisted into such interesting patterns. The hike is suitable for families and is especially dramatic in moonlight – I’d be happy to take you there. A great place for photographing surreal landscapes. This entry was posted in Family, Hiking, Nature, Photography and tagged Dead Sea, family hike, lissan marl, nature hikes on November 6, 2012 by Shmuel Browns. 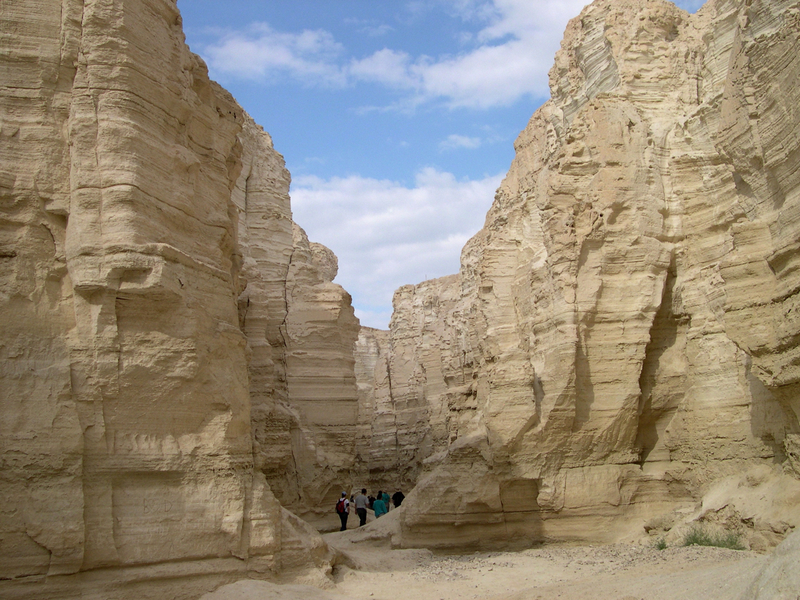 Israel’s Grand Canyons? Gorgeous photos! The one including hikers is particularly interesting to me as it illustrates scale and provides useful context. Thanks.